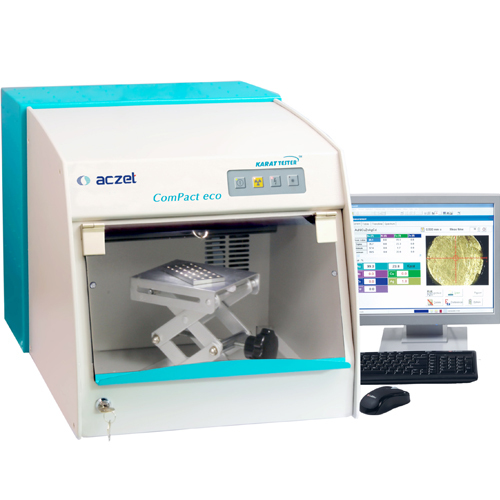 Gold Testing Machine (Compact Eco Series) - Top to Bottom - Aczet Pvt. Ltd. Compact Eco solutions offered are precision designed range of Gold testing machine that are both fast as well as accurate in terms of functioning and assist in achieving fast, non destructive as well as accurate karat measurement of finished jewelry as well as of precious metals. With our more than 25 years of experience in the field of non-destructive material analysis, we ensure the gold checker systems offered deliver faster returns on investment by offering highly accurate easy-to-use interface that saves both time and money. The working specifications of Compact Eco machines comprise mini-focus and high performance based X-ray tube with spot of 0.2mm - 0.8mm, high resolution gas filled prop counter based detector. 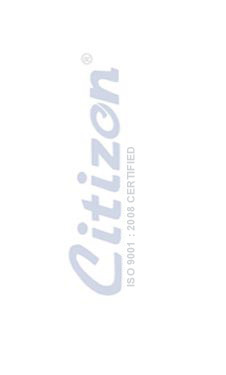 The other options include sample stage comprising manual scissors type z-stage with optional auto focus facility and power supply of 110/230VAC, 50/60Hz, 100W.